The information below is based off of our 2018 Summer Programs and portrays how we stand up to other Summer Programs in the Boston area. 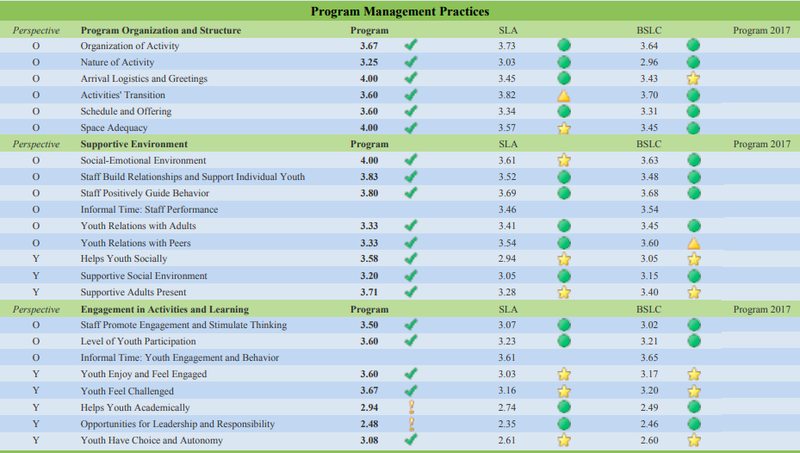 Program quality results were gathered by the National Institute on Out-of-School Time’s APT and SAYO-Y assessment tools. See guidelines for how to read the chart below.